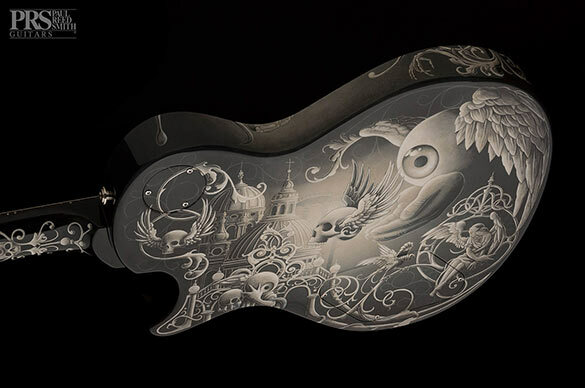 I’ve always been a huge fan of Joe Fenton’s art, but his illustrative work on this custom PRS guitar for musician Mark Tremonti is just jaw dropping. I can only imagine how much this project cost Mark, but I’m sure he’ll be protecting this guitar like a newborn baby. 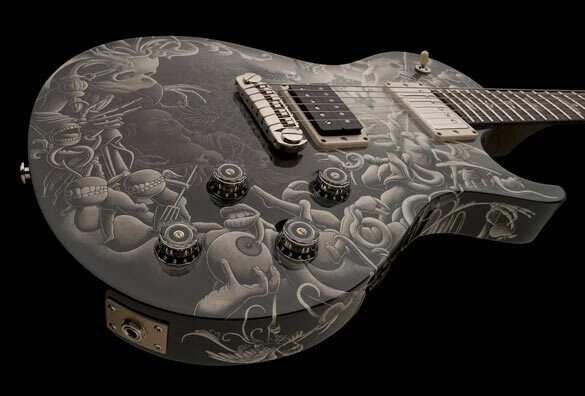 Now if only PRS would offer a line of these beauties for consumer purchase. Here’s a video showing the creative process behind Joe’s guitar illustration. It’s well worth the watch. This is gorgeous. I’d be too afraid to touch it and wear away the illustrations.